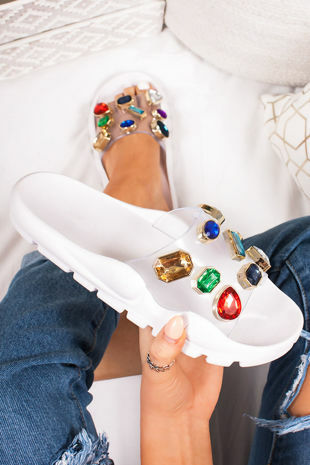 Get ahead of the SS19 trend this season with our super chunky soled flatform sliders! Featuring an on trend extra chunky sole and a faux suede strap! 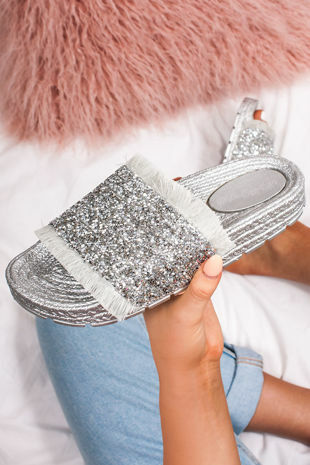 These beauties are going to take your shoe game straight from 0-100 instantly!! We are teaming these with ripped denim shorts and a cropped tee for some extra cool AF vibes, to take you from the beach to the bar!